Donald Trump isn’t the only leader building a wall, and this one is just as controversial. The French government is constructing an 8.2-foot-high, bulletproof glass enclosure around the base of the Eiffel Tower to protect the iconic structure from a terrorist attack. But many French are offended by what they describe as a tasteless design that will be an eyesore. After a public uproar over the $20 million project approved last month by the Paris City Council, Deputy Mayor Jean-Francois Martins defended the plan. “The terror threat remains high in Paris and the most vulnerable sites, led by the Eiffel Tower, must be the object of special security measures,” Martins said. He added that the glass wall would allow full view of the tower while preventing individuals or vehicles from storming the attraction that draws 6 million visitors a year. Critics said the wall, slated to go up in the fall, could undermine the French capital’s tourism industry that is already in a slump after a series of terrorist attacks that killed more than 200 people since 2015. Despite enhanced security in France, terrorists remain a threat. Last week, police arrested a 16-year-old French girl and her boyfriend on charges of preparing explosives in her apartment in Montpellier in southern France to blow up tourists at the Eiffel Tower. The teen, identified only as Sarah Z., allegedly had converted to Islam and pledged loyalty to the Islamic State. Two weeks ago, French soldiers opened fire on a man wielding machetes and shouting “Allahu akbar” as he attacked them near the Louvre Museum. The mood in the city is tense, added the teacher from Bristol, England. “There is a distinct police presence here in Paris generally. We’ve seen a lot of people with guns and men in uniforms,” Bell said. 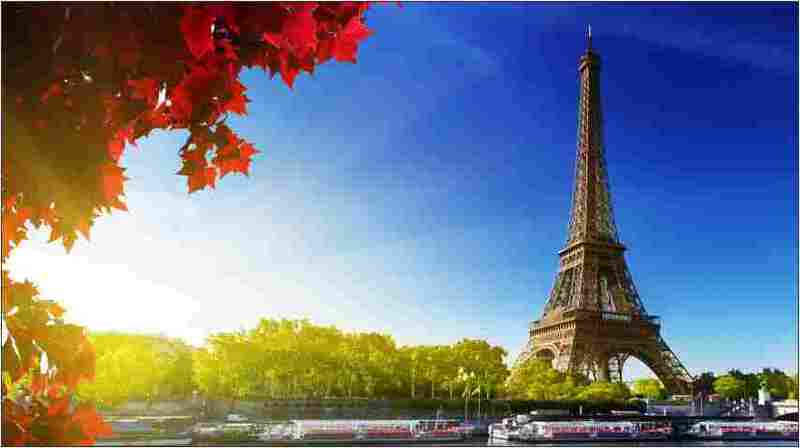 Vanita Minhas, a Canadian tourist who recently visited the Eiffel Tower, said the City of Light landmark might end up resembling a fortress. Currently the base of the Eiffel Tower is surrounded by metal grids set up in June for the Euro 2016 soccer championships. The barriers were to be a temporary security measure but have remained in place with terrorism fears still widespread. Martins said replacing the unsightly metal enclosure with a transparent wall would allow Parisians and visitors a more pleasant view of the monument. “If it’s glass, it’s better than the fences, I think,” Minhas agreed. But she does not believe the wall would help prevent a terror attack. “I wouldn’t feel safer with a glass wall because I don’t think a glass wall can really stop much,” she said. For Thiebaut, the wall is another infringement on the French way of life.